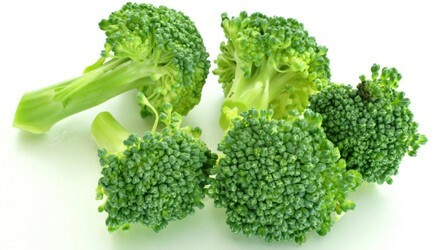 Coarsely chop broccoli and carrots, then place in a food processor and pulse several times until combined. Add onion and parsley and pulse again. Transfer vegetables to a large mixing bowl. Sprinkle with lemon juice, raisins, and nuts, and mix to combine. In a small bowl, stir together dressing and Splenda. Spoon mixture over slaw and mix well. Chill before serving (about 1 hour in refrigerator) for best results.